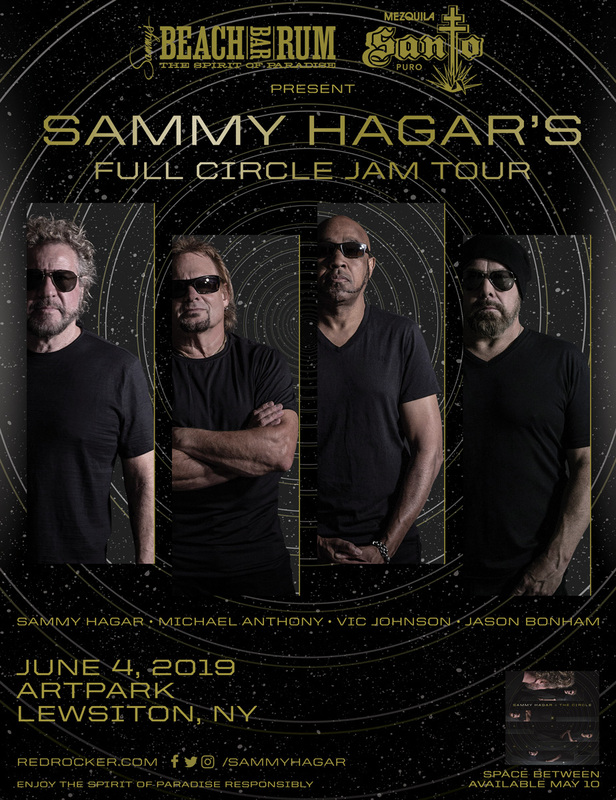 The Circle (Sammy Hagar, Michael Anthony, Jason Bonham, & Vic Johnson) w/ Night Ranger. Part of Sammy Hagar's Full Circle Jam Tour supporting the new album Space Between. NOTE: This show does *not* include a copy of the new CD. Can't wait, and total bonus that Night Ranger opens! OMG! Great night for redheads everywhere. My hubby doesn't call me the Evil Redhead for nothing! I know how to rock, baby!!!! Worked in radio for years and Sammy was one of my go-to's. His rockin' soul to his soulful balads...whoop! whoop! Sammy!! Waited for years for you to come back to Alaska and then I moved to the East Coast and where do you go.... Alaska! aaaahhhhh! Finally, you are here and I will be there!!! Freakin' awesome! Fukkin eh man! Just got my SRO presale tix. Well worth the $$$. I hope it's there tomorrow! What is the link for buying tickets??? ?